10/4/2013. 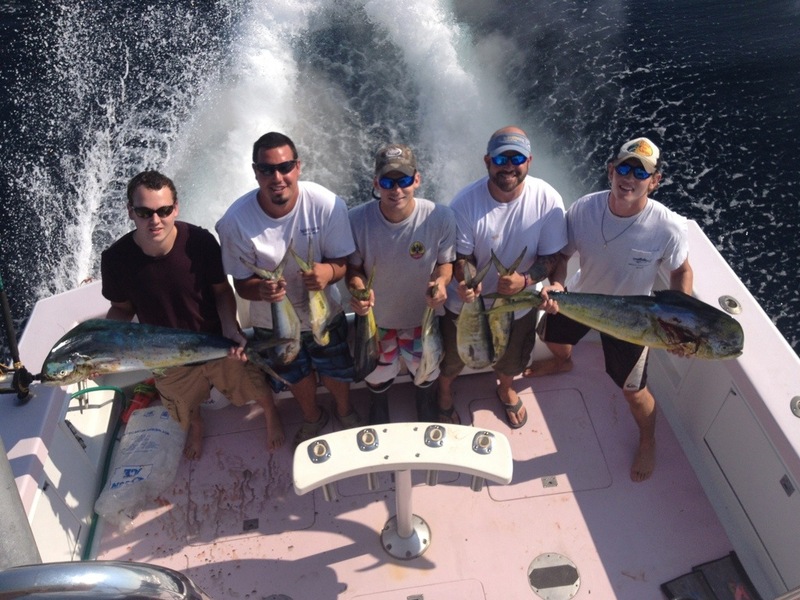 Austin Enzor, Josh Martin, Kevin Coats and Mike Autadonna joined us today to go find some dolphin and tuna. We found the dolphin and the tuna were around us but decided not to bite our baits. Good time was had by all on a very beautiful day. 9/18/2013. 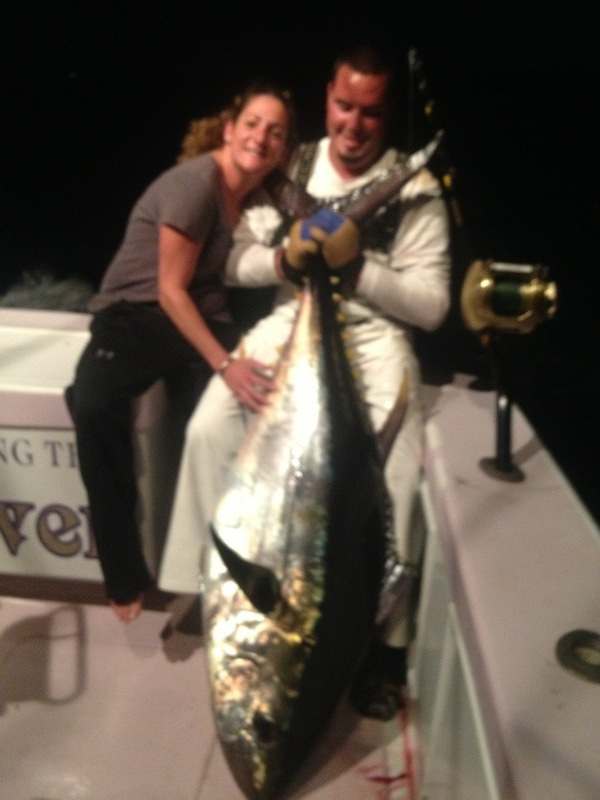 Big Eye & Yellowfin Tuna. Sorry I don’t have everyone’s names. 9/9/2013. 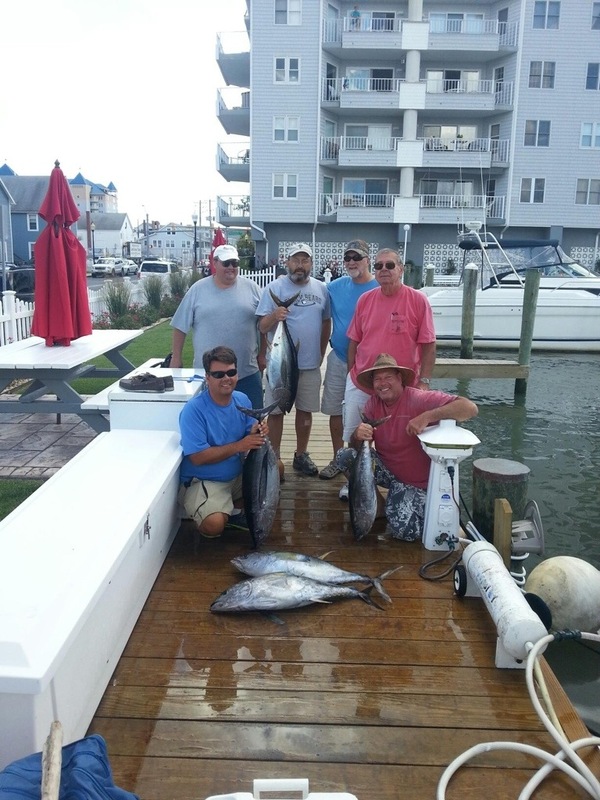 Shannon Ehinger, Chad Newberger, Chuck Ritchie, Glenn Hull, Peter Zoumas and Nick Mitola joined us to do some tuna fishing. They really got their monies worth. Check the picture out. I think it would be fair to say that everyone had a great time. Nice weather to start but turned sloppy as it got later. Thank goodness we were finished early and got home at day break. 9/6/2013. Marcus Walker, Don Pulver, Sterling Smith, Tom Birgensmith, Wayne & Ted Kramer joined us today to catch the fish in the picture. 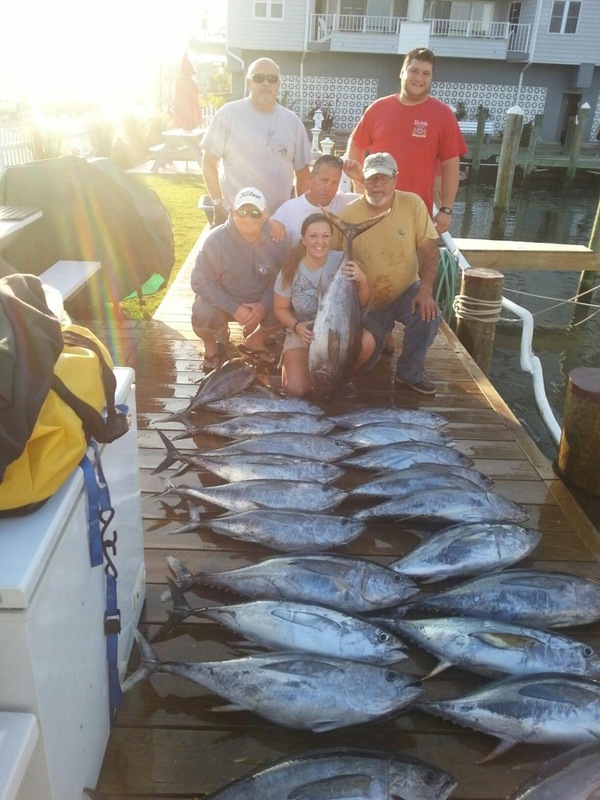 Nice weather and nice fishing. Ginger Flemming, Michele Twilley, Wendy Nash, Chrissy Aular, Erica Ennis and Crystal Garnett joined us today. 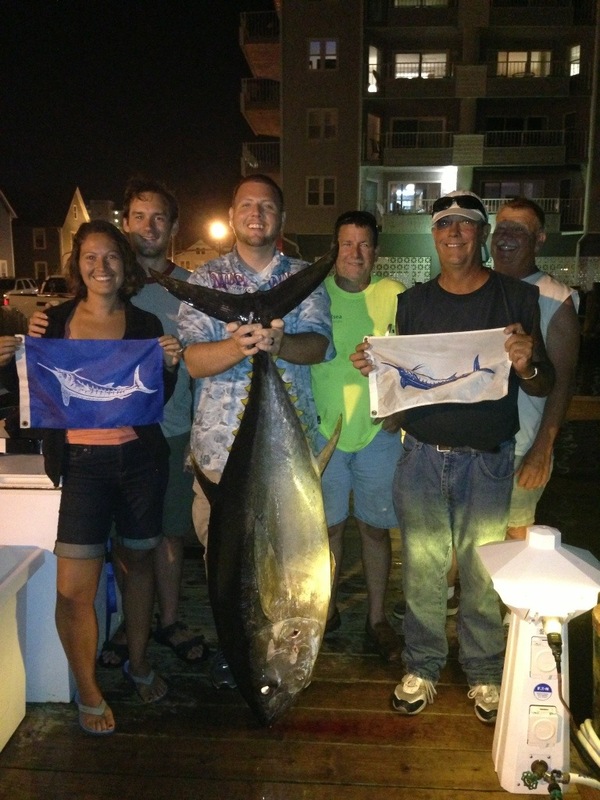 The weather was not quite as bad as yesterday but the hunt for marlin and tuna was bad for us. 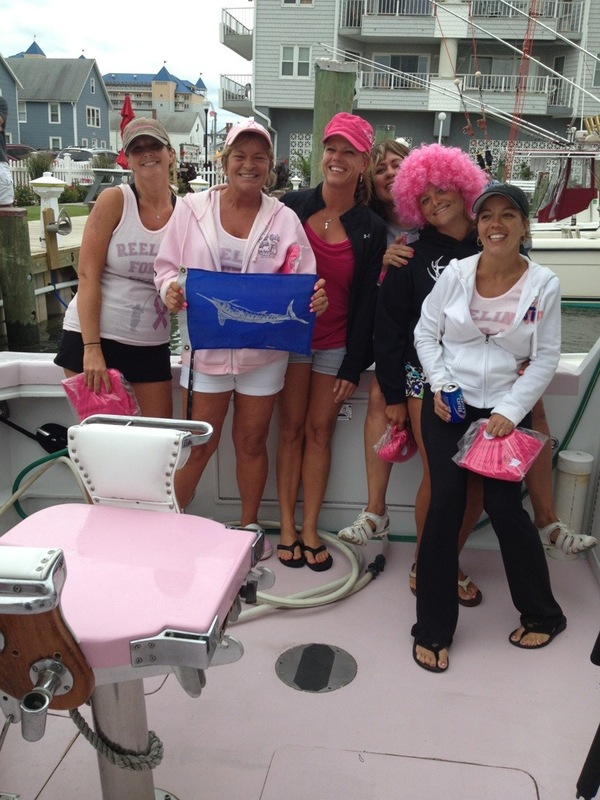 The ladies did catch several dolphins and we failed to hook up a white marlin. Most of the ladies caught up on their sleep. I think Michele (the one with the pink hair in the picture) was asleep the entire day except for one minute – bathroom break. Another lady was not feeling so good. 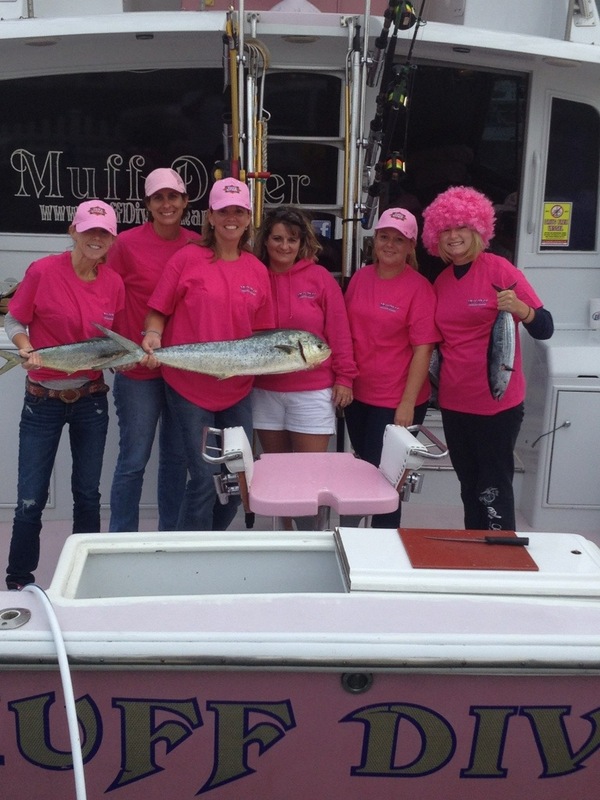 The crew thank you ladies for fishing with us again and we sure hope to see you all next year.